Welcome to AWS TechChat - a podcast series offering cloud enthusiasts, IT practitioners and developers the latest thinking and insights from AWS subject matter experts. Keep informed of the latest round up of AWS news, announcements, services and feature updates, brought to you by AWS subject matter experts from Asia Pacific. 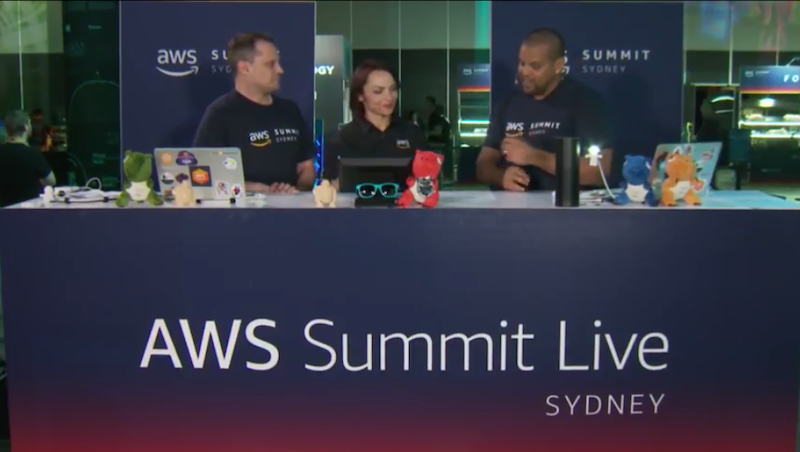 Join our hosts, as they share expert tips and chats to the people pioneering, innovating and solving business challenges with AWS cloud technologies. Interviews and discussions will cover local and global technology trends and business transformational stories spanning across start-up, mid-market and enterprise organisations. By subscribing, you will be kept informed of the latest episode releases and special offers exclusive to our listeners. We want to know what you want to hear about – email your feedback at any time. Join Dr. Pete and Shane as they cover the latest AWS Tech Round-Up. In this episode, they touch on topics relevant to all gamuts of IT. 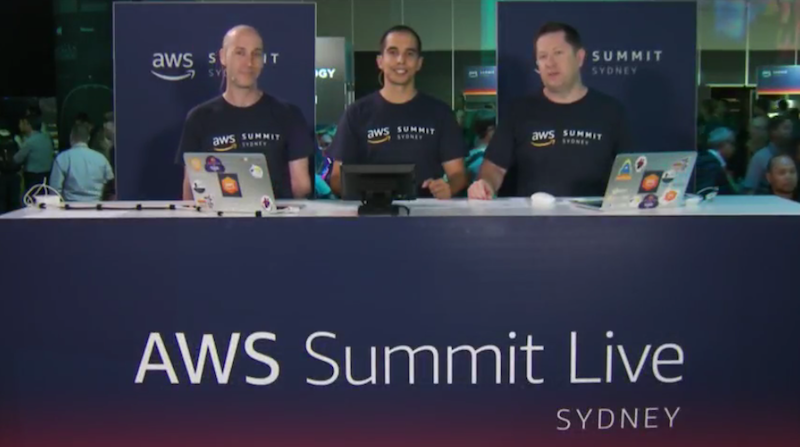 They start the show with a deep dive of AWS Step Functions Local and AWS Step Functions support for Tag Based Permissions. They then pivot to ALB (Application Load Balancer) announcement as ALB now supports ARR (Advanced Request Routing). They wrap up the episode with an introduction to AWS Deep Learning Containers. In this episode of AWS TechChat, Shane and Dean cover updates that aid in optimizing your server and container operations via the Amazon Linux Upgrade Assistant and Amazon ECS Enhanced Container Dependency Management respectively. They also cover how applications in Amazon VPC'es (Virtual Private Cloud) can now securely access AWS PrivateLink endpoints across VPC peering connections. Finally, they look at emerging trends and technologies customers are using to experiment and innovate. In this episode of AWS TechChat, Shane and Dr. Pete reflect on changes to the AWS platform that have occurred over the years. They review the services that often go hidden away. Whilst often niche to the masses, they are important and are the unsung heroes which can affect developer and operational productivity. Shane talks about patterns and anti-patterns for AWS Secrets Manager and AWS Systems Manager Parameter Store. They then pivot to AWS Certificate Manager and explain a little bit about public and private certificates, and how AWS Certificate Manager makes your life easier. Lastly, they cover AWS Simple Email Service and how it can easily slot into your landscape. It is the new year and a new episode of AWS TechChat, Shane and Dr. Pete look over the 50 or so announcements post AWS re:Invent 2018. They talk about price cuts for AWS Fargate of up to 50%, introduce Server 2019 Amazon EC2 AMI's and what it brings to the table and why you should upgrade. 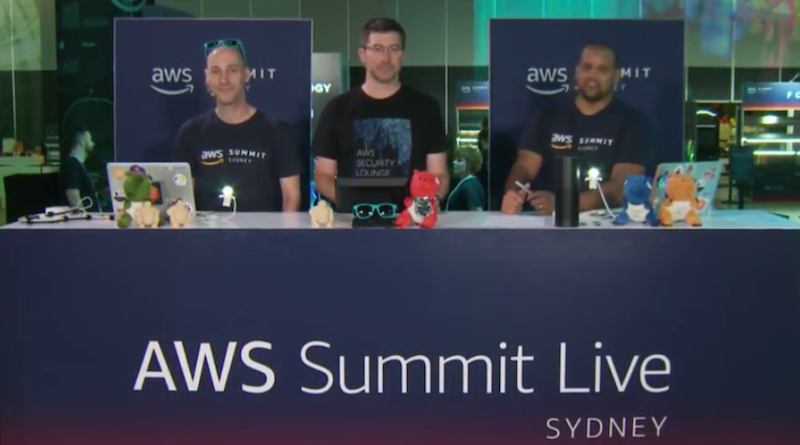 They introduce 3 new services, AWS Backup, AWS Client VPN and Amazon WorkLink and talk about the latest Amazon EC2 Placement group feature and partition placement groups. In this bumper episode of AWS TechChat, Shane and Tom close out our 3 part re:Invent special with an episode for the builders. They talk through the added functionality released around AWS Lambda, and there is a lot. AWS Lambda as a ALB Target, AWS Lambda Layers providing common dependencies across functions and Lambda Custom Runtimes allowing you build AWS Lambda functions with your own runtimes. They introduce Step Functions API Connectors enabling customers to workflows that consume AWS services without writing extensive code and lastly the AWS Amplify Console, which provides continuous delivery and hosting services for mobile and web applications. In the second part of AWS re:Invent 2018 recap episode, Shane is joined by Tom McMeekin, Solutions Architect, AWS. 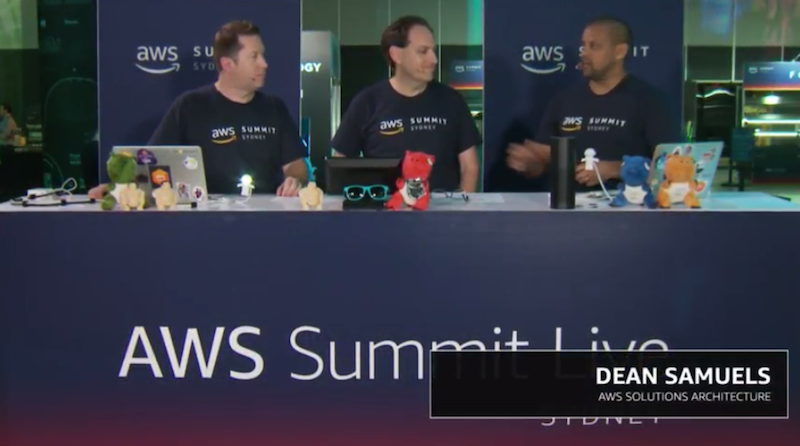 They dive into important Machine Learning and AI announcements around Amazon EC2 instances, Amazon Elastic Inference, AWS optimized TensorFlow, Amazon DeepRacer, Amazon SageMaker Neo, Amazon Textract, Amazon Personalize and Amazon Forecast. In this bumper episode of AWS TechChat, Dr. Pete and Shane scratch the surface of AWS re:Invent 2018. This episode will highlight ARM's coming of age with the Amazon EC2 A1 instance powered by the AWS Graviton processor. They will introduce you to Firecracker, a platform that gives customers the hardware virtualization-based security boundaries of virtual machines, while maintaining the smaller package size and agility of containers and functions and lastly they will cover storage updates by introducing you to AWS FSx, which provides two managed file systems and briefly scratch the surface of AWS Transfer for SFTP. Joining host Shane in the latest episode of AWS TechChat is special guest Tom McMeekin, Solution Architect, AWS. Shane and Tom discuss updates to Amazon Route 53, support for DNS resolution over inter region VPC, Amazon EC2 Auto Scaling and AWS CloudFormation. In this latest episode of AWS TechChat, Dr.Pete and Shane are diving deep on databases! From the newest edge locations to the announcement of AMD EPYC. They dive into the updates around Amazon RDS for SQL server, MySQL version updates and Amazon Athena. 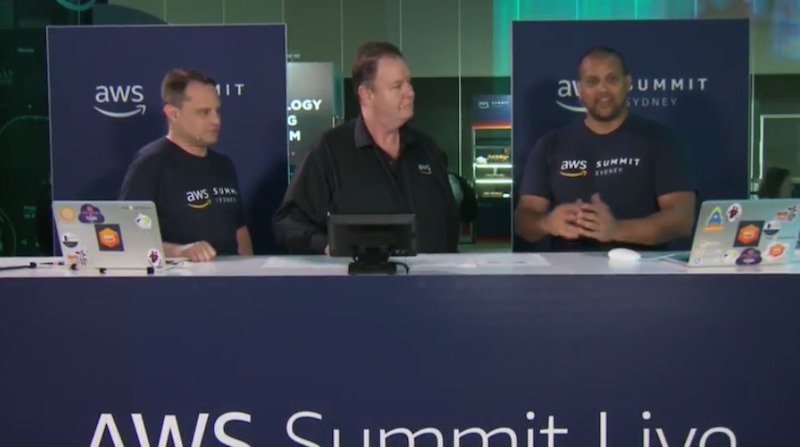 Dr.Pete and Shane are back again with another episode of AWS TechChat! 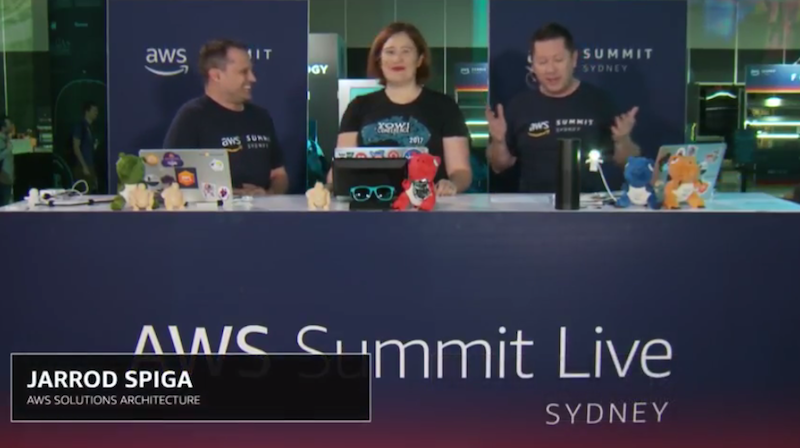 Tune in to find out more about price reductions and the latest AWS updates around Amazon EC2, AWS Storage Gateway, Multi Factor Authentication with Universal 2nd Factor (U2F), AWS Lambda, AWS WAF and Amazon Aurora. In another exciting episode of AWS TechChat, hosts Dean and Gabe share, the latest AWS events, key releases such as AWS X-Ray adding support for controlling sampling rate from the X-Ray console, Amazon API Gateway adding support for AWS X-Ray, Amazon WorkSpaces Web Access and, dive deep into system observability and hybrid IT. 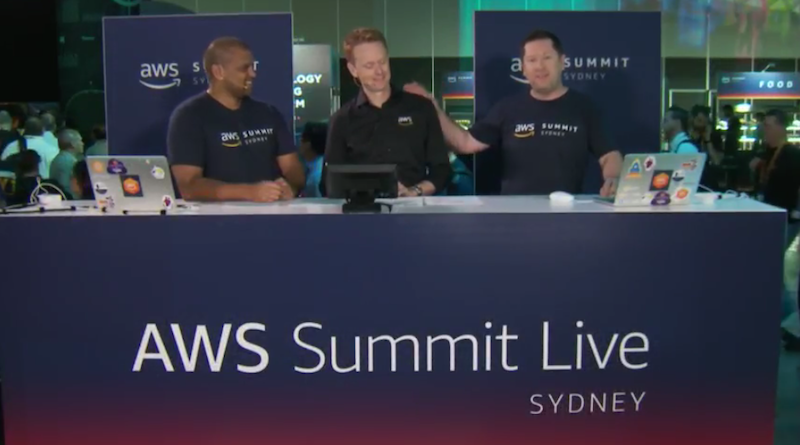 Join Dr Pete and Shane in the latest episode of AWS TechChat as, they share quick wins to save time and money! They share six quick wins from updating your Amazon EC2 instances, using Amazon Aurora for Auto Scaling, managing and measuring your free tier usage with the free tier widget, reducing time spent on application development with Serverless Bot Framework and AWS Amplify, upgrading to Amazon Redshift DC2 Reserved Instances to the price reduction of Amazon Lightsail. In this latest episode of AWS TechChat, hosts Olivier and Dean discuss how AWS enables you to innovate quickly with the latest from AWS PrivateLink, Amazon CloudFront, VPC endpoints, AWS Greengrass, AWS Snowball Edge, AWS Fargate, Amazon SageMaker and Amazon Transcribe. Unable to attend some of your favourite AWS events? Join Dr Pete and Shane as they kick off the 30th episode of AWS TechChat on the latest events, update of AWS stats and dive into deep tech details around AWS landing zones, Amazon API Gateway, Storage Gateway, Application Load Balancer, Amazon Linux, Amazon EMR and AWS DeepLens. In the latest episode of AWS TechChat, we welcome onboard Gabe Hollombe as a co-host. Join Dean and Gabe as they start the episode with the latest AWS stats, general availability of Amazon Neptune, Amazon EKS and Amazon Sumerian. They then go into the latest from Amazon Cognito, AWS AppSync, AWS MobileHub, AWS CodeBuild, AWS CodePipeline, Amazon SQS, Application Load Balancer and Amazon SageMaker. In the latest episode of AWS TechChat, Dr. Pete and Shane share with you some of the latest AWS Stats, how you can optimize CPUs for Amazon EC2 instance, updates and announcements around AWS Elastic Beanstalk, AWS Auto Scaling, Amazon SNS, Amazon Aurora, Amazon ECS, registry of open data on AWS, opportunities for cost savings for Amazon RDS, AWS Certified Security Exam and AWS Database Migration Service. 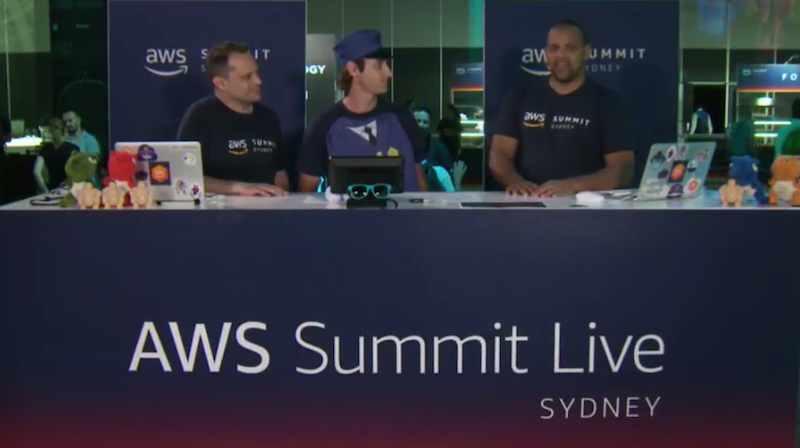 Missed the AWS Summits? 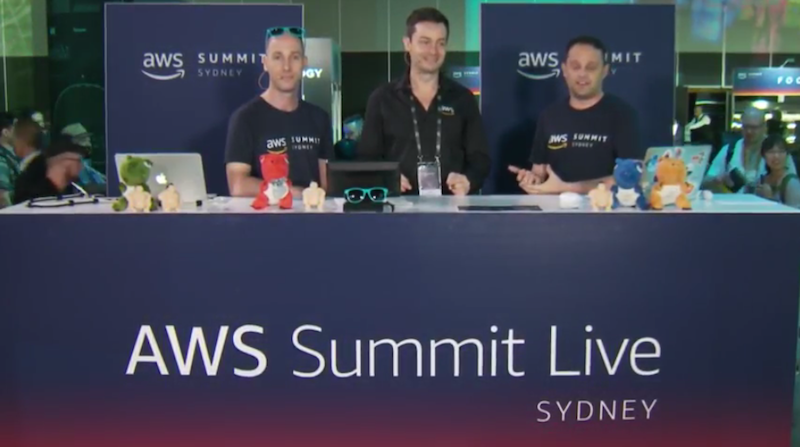 We bring you AWS TechChat from the AWS Summit Sydney! In the first episode of TechChat TV, hear Dr Pete & Dean Samuels share what’s new at AWS. Watch this session on TechChat TV. In this episode of AWS TechChat, we welcome Shane Baldacchino to the line-up of AWS TechChat hosts! 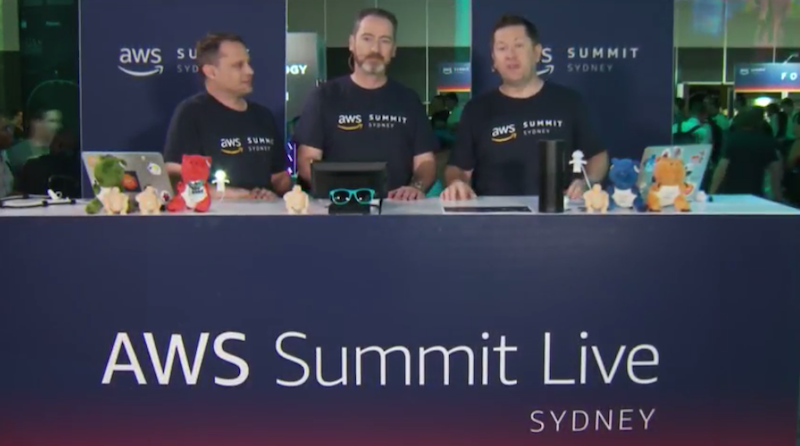 Dr Pete & Shane kick off this episode with updates on the AWS infrastructure and, dive into the latest from IoT and Machine Learning at AWS with news around Amazon EC2 H1 Instances, Amazon SageMaker, AWS DeepLens, AWS Greengrass ML Inference, Amazon FreeRTOS, AWS IoT Device Management, Amazon Rekognition Video, Amazon Transcribe, Amazon Translate, and Amazon Comprehend. Hosts Oli and Dean, bring you the latest episode of AWS TechChat where they kick it off with updates from AWS re:Invent 2017, how to keep up to date with AWS and the new AWS regions. They then dive into AWS Database services such as Amazon DynamoDB, Amazon Neptune, Amazon Aurora and, AWS Compute services such as Amazon EC2, Amazon ECS and AWS Lambda. Tune into the latest episode of AWS TechChat, as it kicks off with some interesting news around Artificial Intelligence (AI), latest updates and announcements around Amazon EC2 P3 Instances, Apache MXNet Release, Amazon EC2 C5 Instances, AWS Deep Learning AMI, Amazon Kinesis Analytics, Amazon API Gateway, Amazon Aurora, Preview of Performance Insights, Amazon Athena, AWS Shield, AWS Direct Connect and, information around AI related sessions at AWS re: Invent 2017. Joining Pete and Oli as a co-host from this episode is Dean Samuels, Solutions Architect Manager, HKT, AWS. In this latest episode, Pete and Dean round up the latest around Amazon CloudFront, AWS WAF, Amazon EC2 Spot, Windows Server for Amazon LightSail, Microsoft SQL Server for Amazon EC2, Lifecycle Policies for Amazon EC2 Container Registry, Amazon Database Migration Service, Amazon Redshift, Amazon DynamoDB Accelerator and Gluon, Application Load Balancer and AWS Marketplace. Join host Oli in the latest episode of AWS TechChat as he speaks with special guest, Dean Samuels, Solutions Architect Manager, HKT, AWS. Oli and Dean dive into the latest updates and announcements around Network Load Balancer, Amazon Lex, Amazon EC2 Systems Manager, AWS Greengrass, Per-Second billing, Middle East Region, Apache MXNet, and Prime Day 2017. Join host Dr Pete in the latest episode of AWS TechChat, as he shares the information and updates around VMware on AWS, improvements to signing into your AWS Account, Amazon Route 53, Elastic Load Balancing, Amazon VPC, Amazon EC2, Amazon SES, Amazon RDS, Amazon CloudWatch, AWS CloudFormation, AWS Elastic Beanstalk, Amazon Lex, New Quick Starts on deploying IBM MQ on AWS and deploying NGNIX Plus on the AWS Cloud. In the exciting 20th episode of AWS TechChat, hosts Dr Pete and Oli take listeners through new service announcements of AWS Migration Hub, Amazon Macie, AWS CloudTrail Event History, AWS Glue, launch of edge locations for Amazon CloudFront, general availability of Lambda@Edge and VPC endpoints for Amazon DynamoDB, updates and information around Amazon EFS, NOAA GOES-R on AWS, UK Met Office Forecast Data, New Quick Start, AWS CodeCommit, introducing AWS SAM Local and AWS CodeDeploy. In the latest episode of AWS TechChat, Dr.Pete welcomes Olivier Klein as the new co-host. 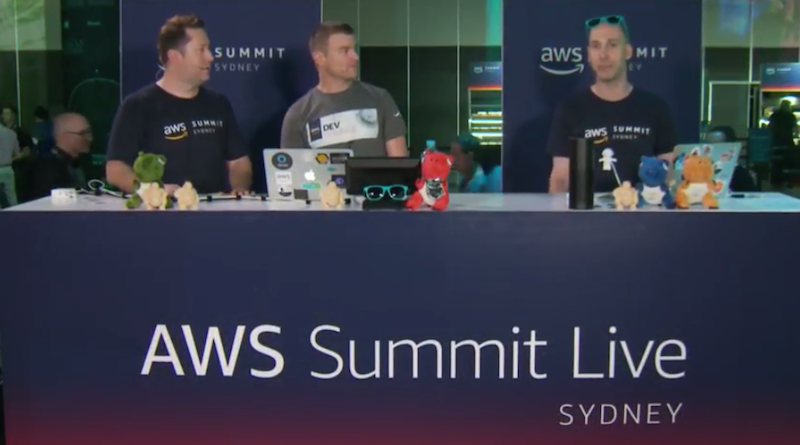 The hosts kick off the episode with, information and updates around Amazon Connect, Amazon WorkSpaces, AWS Direct Connect, AWS Web Application Firewall (WAF), AWS Config, Amazon Kinesis, New Quick Start, Amazon CloudWatch, Amazon EC2 Systems Manager, Amazon Athena, Amazon Route 53 and wrap it up with an Amazon Connect demo. Join Dr Pete and Russ in the latest episode of AWS TechChat as they share security best practices and news around Amazon Rekognition, Amazon DynamoDB, Amazon ECS, AWS Greengrass, Amazon SQS, AWS CodeStar, AWS Lambda, AWS X-Ray, Amazon Aurora, Amazon RDS, Amazon EMR and AWS Deep Learning AMIs. In this action packed episode of AWS TechChat, hosts Dr. Pete and Russ share the latest announcements around Amazon EC2 P2 instances, Amazon LightSail, updates around Remote Desktop Gateway, Amazon Athena, Amazon Elasticsearch, Amazon Aurora, Amazon RDS, Amazon CloudFront, HIPAA eligible services, Amazon Cognito, Amazon QuickSight, AWS Serverless Application, IAM policy summaries and new AWS Certification Specialty exams. From new announcements to service updates, hosts Dr. Pete and Russ bring you another packed episode of AWS TechChat. In this episode, they take you through the announcement of new edge locations, updates to Amazon QuickSIght, AWS CloudTrail, AWS Marketplace, Amazon WorkMail, Amazon EMR, Amazon RDS, AWS Schema Conversion Tool, AWS Organizations, Elastic Load Balancing, AWS Deep Learning, Amazon Simple Queue System (SQS), Amazon Chime, AWS Lambda and introduce, AWS and Ionic’s Mobile Web and Hybrid Application on GitHub. Join Dr. Pete and Russ in another episode of AWS TechChat as they discuss the latest AWS announcements and updates around AWS CodeStar, Amazon Redshift, Amazon EC2, Amazon DynamoDB, AWS Database Migration, AWS X-Ray, Amazon Aurora, Amazon Rekognition, Amazon Polly, Amazon Lex, Amazon Mobile Hub Integration, AWS Lambda, AWS Marketplace and Simplified Pricing API. Tune into the latest episode of AWS TechChat as special guest Adrian Cockcroft, Vice President, Cloud Architecture Strategy, AWS joins our hosts Dr Pete and Russ to talk about Innovation, Architecture and the AWS Cloud. In this episode, Dr Pete and Russ run through a round-up of the latest AWS updates and announcements including the launch of the new Zurich edge location, the general availability of Amazon Cloud Directory, updates to Move over JSON, AWS Lambda, Amazon ECS, Amazon WorkDocs, AWS Cryptography, Amazon CloudWatch, Amazon EMR, Amazon ElastiCache, Databases, Deep Learning, Amazon Elastic File System and Amazon EC2 reserved Instances. 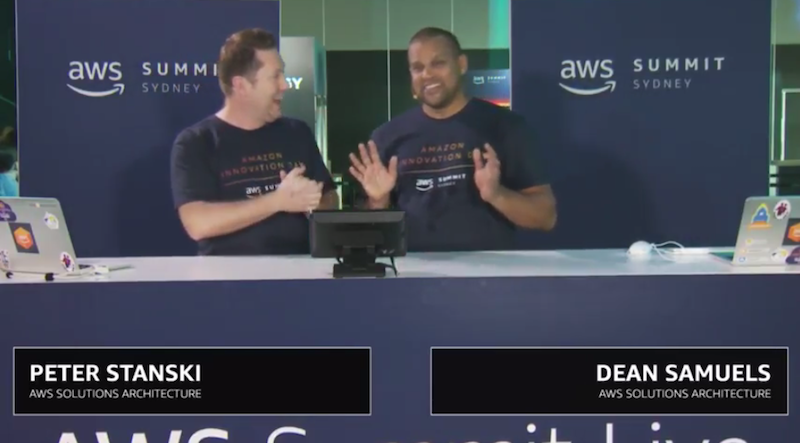 In the latest episode of AWS TechChat, hosts Dr Pete and Russ start off by announcing the new edge location in Philadelphia for Amazon CloudFront and the availability of Amazon Chime. They also take you through the latest services and feature updates around Amazon Elastic Block Store, Amazon API Gateway, AWS Organizations, Amazon Relational Database Service, AWS Schema, Amazon Redshift, Amazon Elasticsearch Service, New Quick Start, Amazon EC2, AWS Key Management Service, AWS Lambda, AWS Elastic Beanstalk, Amazon GameLift, Amazon DynamoDB, Amazon QuickSIght, Amazon Rekognition and AWS Direct Connect. Dr Pete and Russ Nash continue their round-up of the best highlights of the new AWS services announcements made from re:Invent 2016. Wishing our listeners a most happy and safe holiday season. 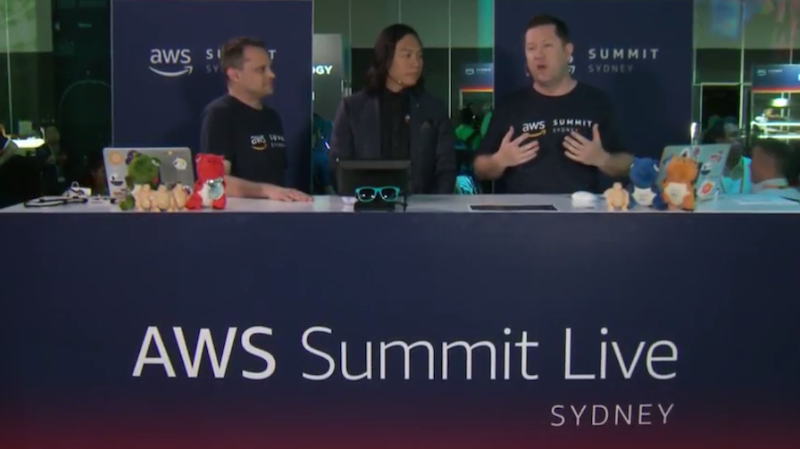 For the AWS and tech aficionados, Dr Pete and Russ Nash delivers some of the best highlights of the new services announcements made from re:Invent 2016. With more than 130 announcements made, episode #9 offers the most titillating updates that would leave any techy feeling like Christmas has come early! Our hosts geek out with Adrian De Luca, Head of Solution Architecture for partners and ecosystem for Asia-Pacific. 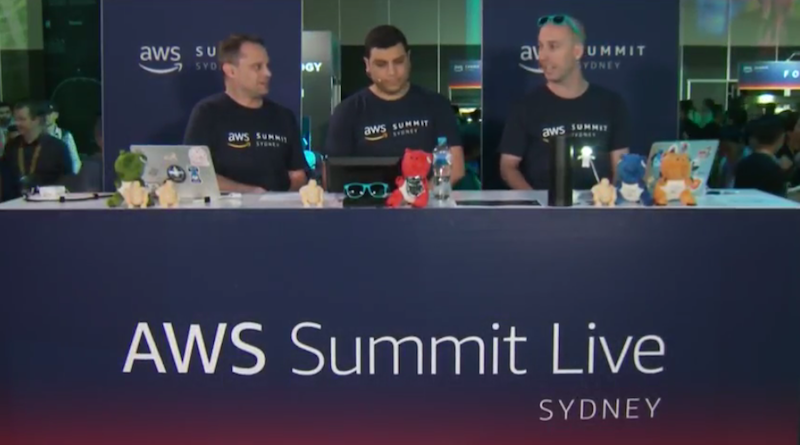 They chat about all things related to AWS partners, including the different levels and types (in the vicinity of tens of thousands world-wide) and their key role in shifting workloads onto the AWS cloud and providing exceptional experience for customers that are scaling on AWS. They also cover some great partner activities happening across the globe as well as some recent key announcements made with IBM, CommVault, VMware and Atlassian. Happy listening! Stay up to date on the cloud topics that matter to you most. Dr Pete and Russ Nash chat about Aussie Rules Football and the last 10 years of AWS with Dr Werner Vogels, VP and CTO of Amazon.com during his recent trip to Australia. Stay up to date on the cloud topics that matter to you most. 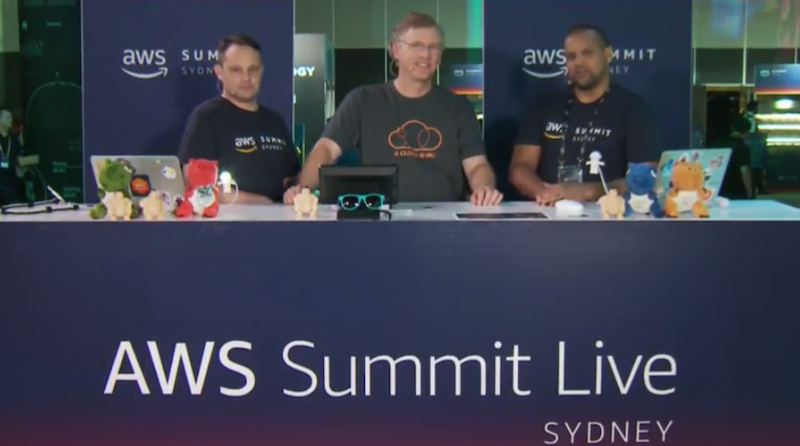 Dr Pete and Russ Nash offers up a monstrous round-up of AWS news and services updates, spanning from performance enhancements, price reductions and software dev updates. 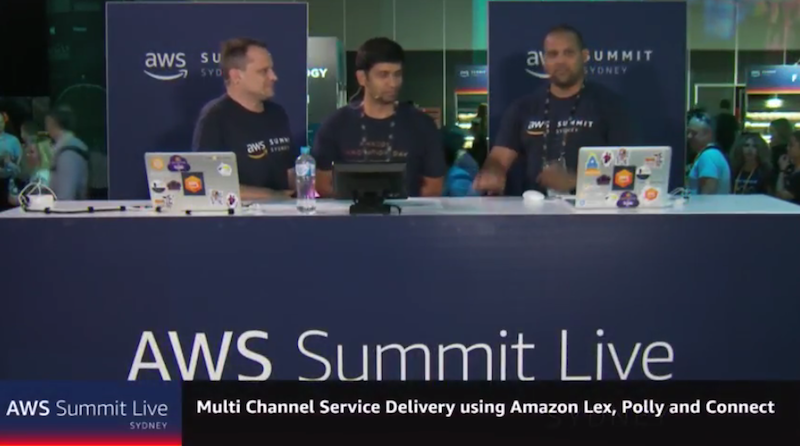 Tune in to get across the most significant updates from AWS. A special guest joins Dr Pete and Russ in this episode, which is sure to excite the developers among you! 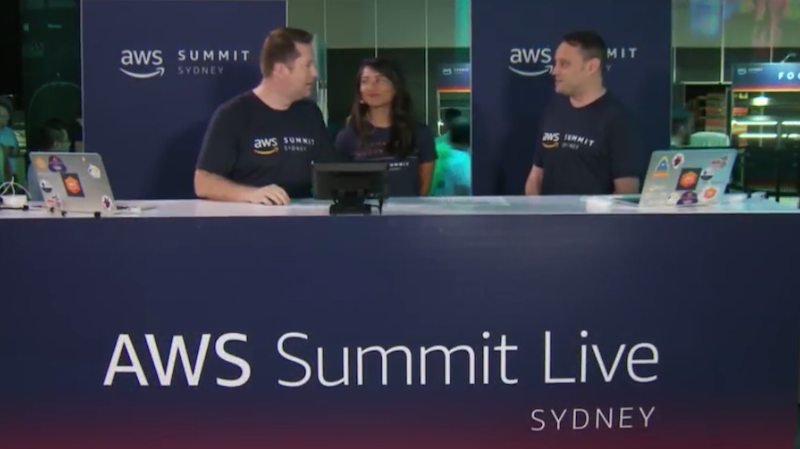 Developer-at-heart, Adam Larter, Specialist Solutions Architect from AWS, chats to our hosts about the latest news impacting the developer community from AWS. Covering hot topics like AWS IoT, the serverless framework and the growing momentum of AWS Lambda & API Gateway since launching in 2014. Adam also offers up tips to how you can get started by leveraging AWS SDKs to develop, create and manage applications built on AWS. Take advantage of a great number of resources available to help you get started (listed below) – there’s never been a better time to build! Ash Willis. Ash joins our hosts to chat about honing your cloud skills, and best practice tips to get you started on your AWS certification journey. All this and more - be sure to tune in! In this episode, Dr Pete and Russ run through a round-up of the latest AWS updates, including: EC2 longer instance IDs, EC2 console screenshots, RDS Multi-AZ for SQL Server, RDS cross region replication for Aurora, the new EMR release including Apache Tez and Apache Phoenix, new high throughput EBS volume types and S3 Transfer Acceleration. They also take a closer look at the applications and benefits of resource tagging. All this and and more – be sure to tune in! 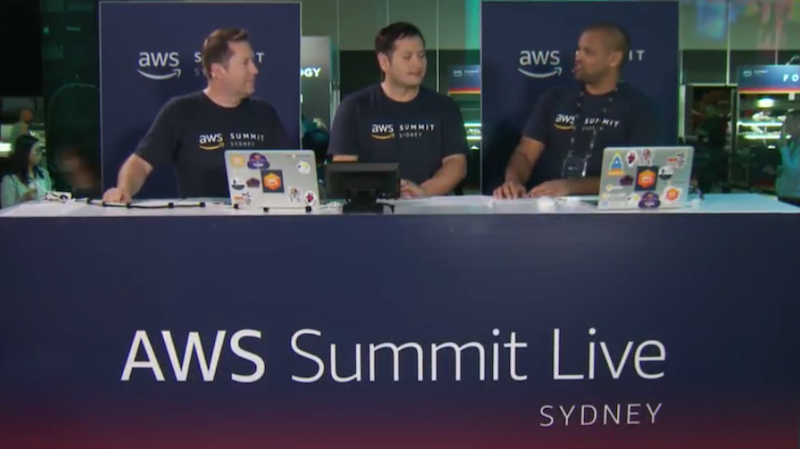 AWS TechChat debuts with discussions on the exciting AWS announcements made at AWS Summit Sydney (27 – 28 April, 2016). 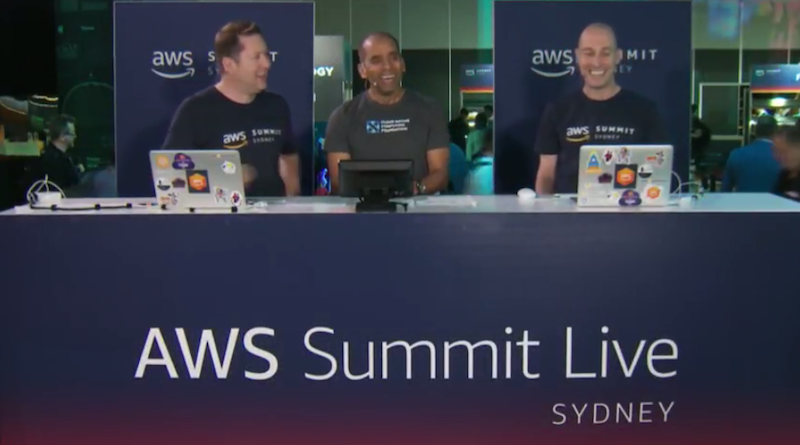 Dr Pete and Russell Nash are joined by Ajay Nair and Stefano Buliani from the AWS product team, to chat about the significance of large-scale data transport solution, AWS Snowball, and the upcoming launches of AWS Lambda and Amazon API Gateway and what this means to Australian and New Zealand customers. Ever get frustrated with the pages and pages of Security Policies your company wants you to adhere to? This talk will show you how to use the aws-config-engine-for-compliance-as-code, where to start in your organization, and go through a few real-life use-cases with a live demo of compliance automation in-action. In this session you will learn how to use AWS SAM Local in order to bring the power of AWS Lambda to your laptop so that you can develop, test and debug Serverless Applications with no interruption and without internet. We'll build and deploy a serverless application live from the terminal and show you how you can author anything serverless, anytime, anywhere. Most of the enterprises leverages call centre to reset the passwords and record any major incidents and act upon it. Using Amazon Connect, Lex and Transcribe we can automate the IT service management tasks and reduce call centre effort. Containers and Kubernetes are currently hot topics, moreso with the recent preview release of the Amazon Elastic Container service for Kubernetes (EKS). In this talk, we will go through some of the key features of the current preview release. If you’re into Kubernetes, you can’t afford to miss this talk. The big bad wold keeps stealing Grandma's recipes! Let's show Grandma how to develop and deploy an API easily using the AWS Toolkit for Visual Studio, SAM and some simple authentication rules. A customer enabled Amazon GuardDuty and detected cryptocurrency mining occurring on an EC2 instance running Jenkins. Fast forward two months and it was finally discovered that a hacking group was exploiting an undisclosed vulnerability to deploy mining apps to vulnerable servers. See how Amazon GuardDuty can help you keep ahead of security risks. Breakglass approach is needed to break into a system when Active directory is down. Demo will showcase the SSM capabilities to and serverless approach to handle break glass situation. 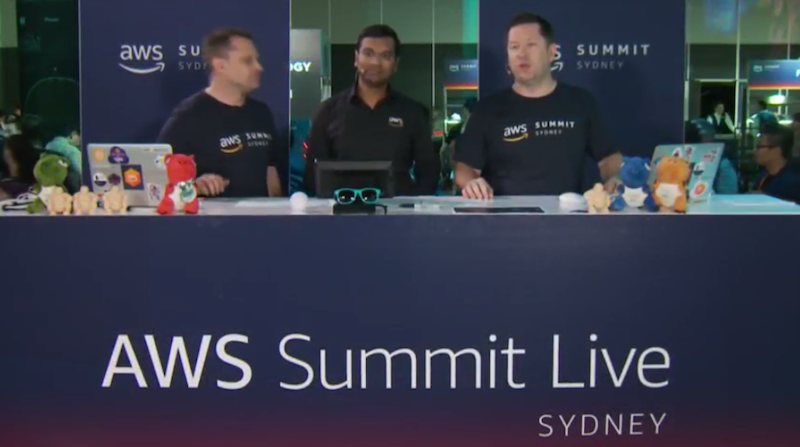 Update on the AWS Expo Floor: In the spirit of running experiments, we took a different approach to building out the expo floor at this year’s AWS Sydney Summit. Phon Hansana and Adrian de Luca explain how our Metropolis of the Future has been built out. Plus hear from AWS APAC Director, Ed Lenta. Facing the challenge of building out CI/CD pipelines across multiple AWS accounts? Let's explore the best practices for managing Continuous Delivery in complex environments to provide you with options for how to select the best patterns for your ecosystem. Alexa is the Gateway to Serverless: Join special guest, Drew Firment from A Cloud Guru as we talk about building serverless applications by using Alexa skills development as a mechanism to get started. AWS Cloud Warrior Update: One of the community programs that we run is the AWS Cloud Warrior program. Join Solutions Architect Manager, Rodney Haywood as we discuss how this program is a great way for professionals to share their AWS knowledge and learn from each other. Have you ever wanted to know a flower name and always get confused? Have you ever wanted to build an API that will recognize objects or species? If so, then this is the right session for you. Tired of wasting time on setting up development environments and CI/CD pipelines? In this session we will talk about how Cloud9 and CodeStar can be used to start new development projects quickly and easily, with a focus on Serverless development. Innovation in Cloud Security: Join Phil Rodrigues talk about making the security message simpler - how to make security simple for developers, and how to understand the cloud for security teams. It's hard to get started building a video analytics solution. In this talk, we will discuss how AWS can take away much of this initial heavy lifting with services such as Rekognition Video, Kinesis Video Streams and IoT. State of the Nation: Women in IT ANZ: “How do we hire more women in tech?” is a great that this question is being currently being asked. Kris Howard, Director of YOW! shares her thoughts on this question and what we can do to promote diversity in IT. It's difficult to use traditional tools to monitor, debug and optimise distributed applications. In this talk, we will discuss how to build state machines to orchestrate multi-step serverless applications and gain operational visibility into your distributed applications using AWS X-Ray. Peter ‘Dr Pete’ Stanski has been an IT and business strategy consultant for over 20 years and is an influential figure in the technology space. He has mentored organisations with their technology adoptions and continues to develop solutions for industries spanning across telecom, finance, education, research, trade, gaming, e-learning, scientific, bio-technology and IT. He is a Senior AWS Solutions Architect Manager and over several years has helped countless customers unlock innovation at scale with AWS. Olivier is a hands-on technologist with more than 10 years of experience in the industry and has been working for AWS across APAC and Europe to help customers build resilient, scalable, secure and cost-effective applications and create innovative and data driven business models. He advises how emerging technologies in the Artificial Intelligence (AI), ML and IoT space can help create new products, make existing processes more efficient, provide overall business insights and leverage new engagement channels for end-consumers. He also actively helps customers build platforms that align IT infrastructure and service spending with revenue models, effectively reducing waste and disrupting how product development had been executed over the past decades. Dean comes from an IT infrastructure background and has extensive experience in infrastructure virtualisation and automation. Dean has been with Amazon Web Services for the last five years and has had the opportunity to work with businesses of all sizes and industries, primarily across Australia and New Zealand, but also across the wider APAC region. Dean is committed to helping customers design, implement and optimise their application environments for the public cloud to allow them to become more innovative, agile and secure. Whilst Dean does have a strong IT infrastructure background covering compute, storage, network & security he is very focused in bringing IT Operations and Software Development practices together in a more collaborative and integrated manner. Shane is a passionate technologist that cut his teeth in web-hosting by keeping some of Australia's most popular websites online before running architecture functions for some of the world largest food manufacturers. He has a blend of both development and infrastructure backgrounds. Shane is an enthusiastic maker and his house is often referred to as 'SkyNet'. Shane has been at AWS for the last two years and has had the opportunity to work with businesses of all sizes and industries, and whilst being technologist, he is able to communicate technical solutions effectively all the way through to executive audiences. Shane is advocate of all facets of automation and is committed to helping customers leverage the AWS cloud to drive innovation and customer value. Gabe Hollombe is a software developer and Technical Evangelist for Amazon Web Services, where he has the best job ever: staying current on cloud computing best-practices and services, learning how customers are innovating on AWS, building exciting demos, and sharing his knowledge and passion with the world. Gabe has over 15 years of experience building robust, scalable, and well-tested systems across a variety of industries. From on-demand online tutoring, to large-scale federated identity and user management, to data processing for a constellation of nano-satellites, Gabe has been building on AWS since 2009.These days Gabe is most excited about serverless, mobile, devops, and AI/ML. Away from the screen and stage he enjoys making bad puns, playing board games, and spending time with his wife, daughter, and French bulldog.